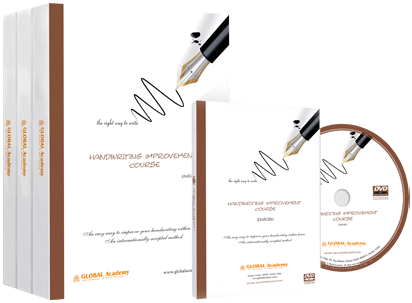 Welcome to the official website of Handwriting Course Online. 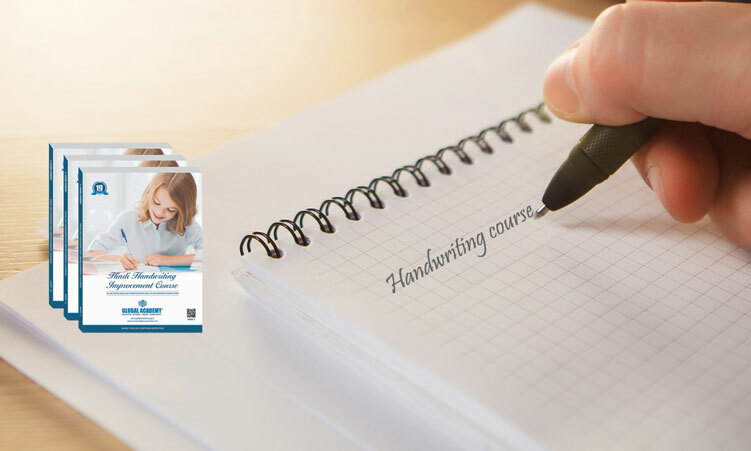 Our specially designed course will help you to improve and develop a handwriting that is elegant and beautiful. Handwriting Course Online is promoted by LK Online Education & Services Pvt.Ltd, an institution that boasts of over a decade of delivering quality education services in India. Our students have witnessed tremendous success in the various courses we offer at both intermediate, graduate and post graduate levels. The need for such a program was appreciated and developed by our team of experts who combine years of experience in the education sector. We believe that a person’s handwriting is a reflection of his or her personality. Impressions are made or lost with one’s handwriting. Based on research in the field of calligraphy it was found that a scientific approach was deemed necessary to develop a beautiful handwriting. Find an item you want. Enter the quantity you want to buy in the box, then click the "Buy Now" button to place the item into your shopping cart. You can check COD Availability with your pincode. When you are ready to finalize your order, click "Place Order". If you are a new online customer and you do not want us to store your address information, you can complete the checkout process as a guest. If you are a Return User and have set-up an account with us previously, supply us with your email address and password so we can "look you up." After supplying us with the appropriate information, click the “Login” button to proceed. If you are not registered and would like us to store your address information, click the register link and fill in the required information fields as indicated. Be sure to write your password down for future use. After checkout, we will save your address information so next time you order, we can "look you up!" We can even store multiple “ship to” addresses if you have different locations that you receive your orders. When you are ready to finalize your order, choose the proceed to payment button. Choose the Credit/Debit card type or select Net Banking if that's how you wish to pay, enter the number and expiration date, then click the "Continue to Payment" to proceed to the next step. After transmitting your order, you will receive an immediate online Order Confirmation, please print this for your records. You will also receive an email order confirmation. Once your order has been processed and shipped, you will be emailed a “Shipping Confirmation” with tracking information. I was struggling to score good marks in my examinations due to my poor handwriting. With this program, I was able to not only improve my handwriting but also my marks. My son found it difficult to maintain a good handwriting when writing his exam. After this course he was able to have a good handwriting and consistent speed. My colleagues would often make fun of my poor handwriting. I was sad and could not make an impression. Thanks to this course, I am now more confident and happy because of my improved handwriting. Our daughter is a bright student, but she struggled with a poor handwriting. After taking this course she has considerably improved her handwriting skills. My job required me to write lengthy handwritten reports. I was ashamed to show my work to others because of my dismal handwriting. With this course I am now more confident to show my handwriting to others. I am a writer and I often have to travel for work and use the traditional pen and paper for my ideas and thoughts. So taking this course has helped me creatively and professionally. As an academician, I am expected to have a good handwriting. It was only after taking this course, I was able to improve my handwriting. This course was so simple and easy to implement into practice. I was skeptical at first, but as I started, I was surprised and grew more confident about my handwriting. This was the best gift we could give our son as he started his higher education. All my friends recommended this course to me. Needless to say I was not disappointed.